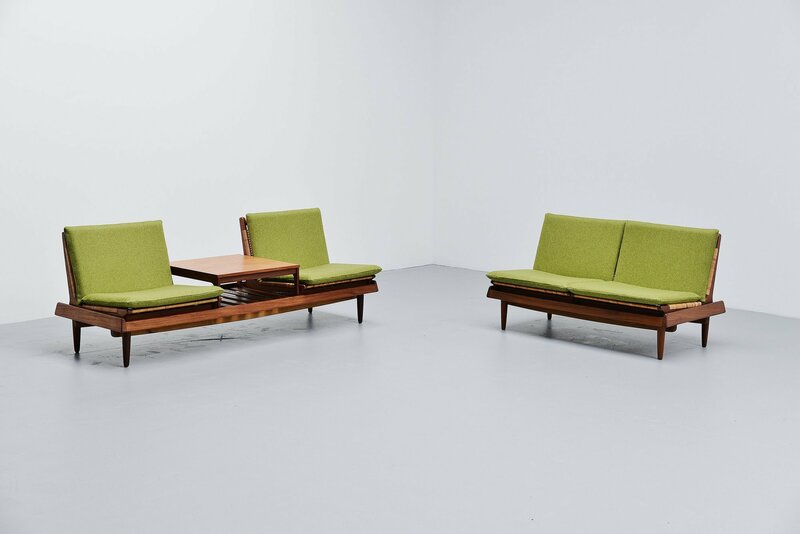 Fantastic seating group model TV161 designed by Hans Olsen, manufactured by Bramin, Denmark 1957. 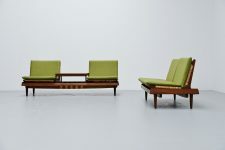 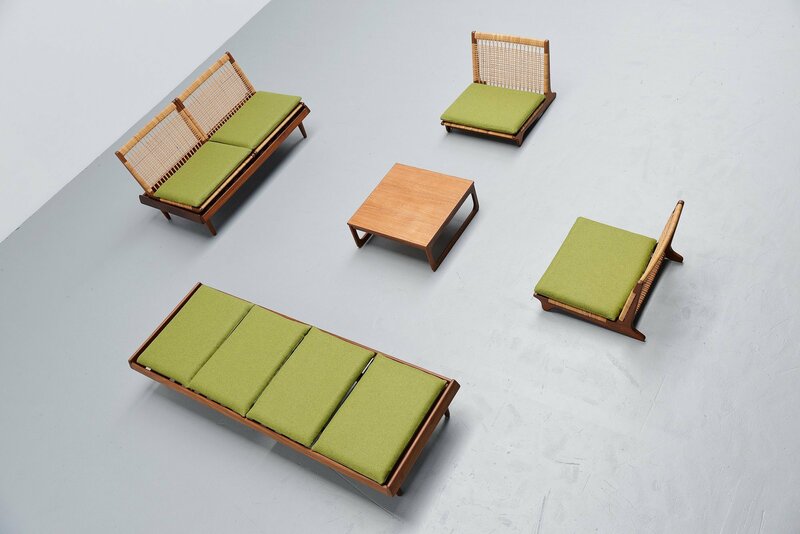 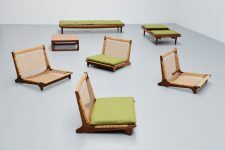 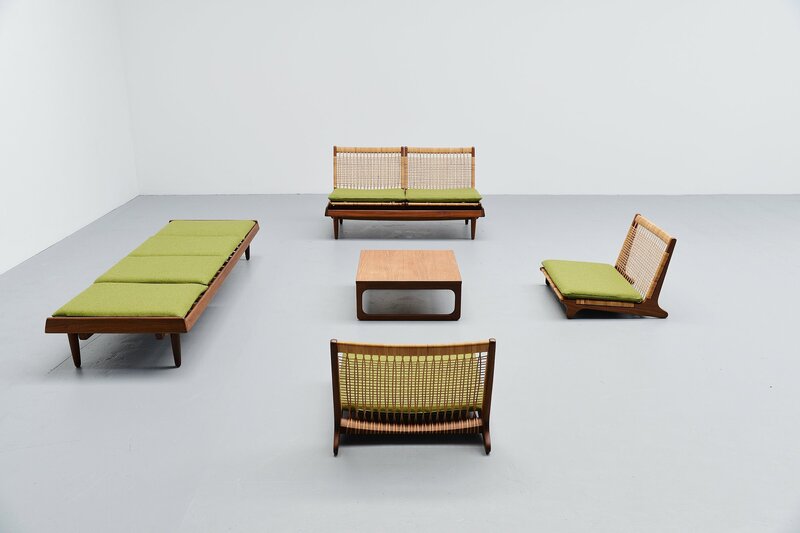 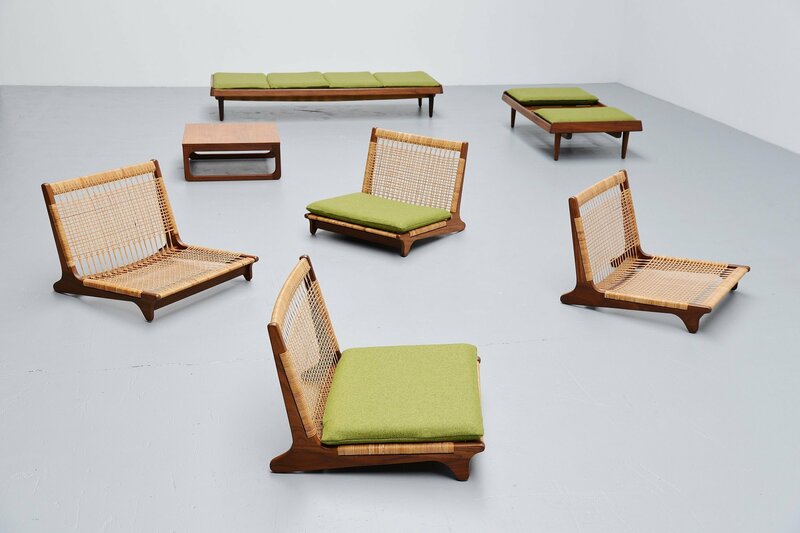 This set is made of solid teak, with very nice cane work and green (Divina by Kvadrat) upholstered cushions. This set is very multi functional. 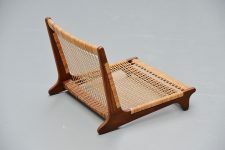 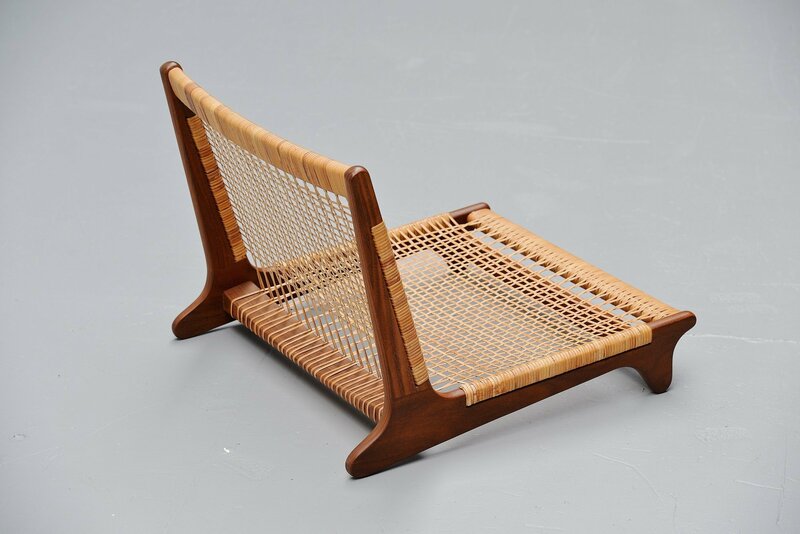 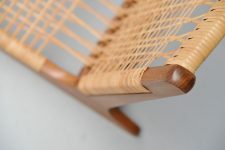 Can be used as 2 sofa’s with table but also as 2 benches, a daybed, low lounge chairs. 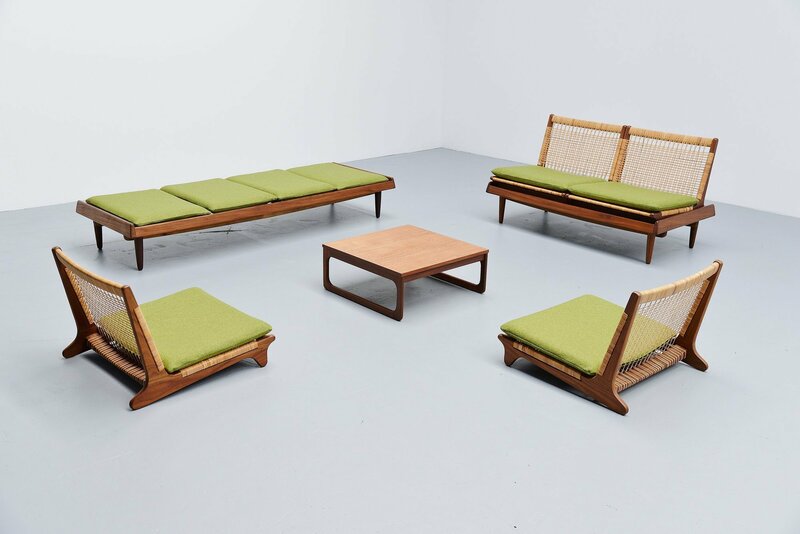 A very nice designed by Hans Olsen, hard to find in this amazing original condition.